News4's Mark Segraves tells why police reacted with full force, and how officials learned that there was no threat. 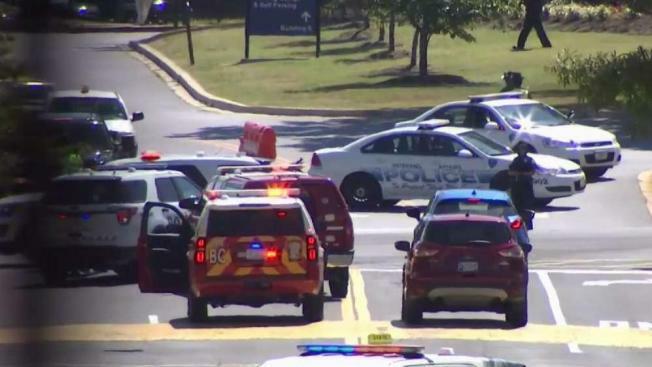 D.C. police responded to a report of an active shooter at MedStar Washington Hospital Center. But there was no shooting and no one was hurt. Someone threatened a doctor, triggering a lockdown of the hospital. 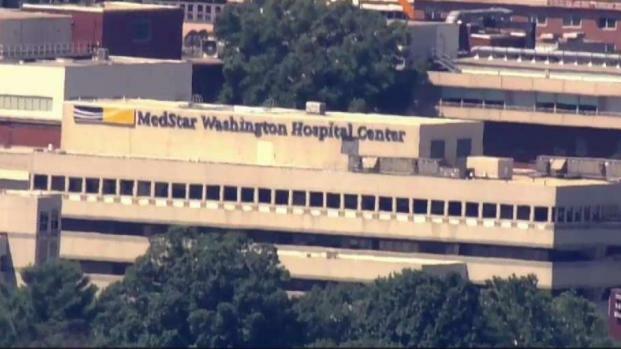 Someone threatened doctors at MedStar Washington Hospital Center on Thursday, triggering a lockdown and fears of an active shooter. A lockdown of the Northwest D.C. hospital was lifted before noon Thursday after police determined there was no ongoing threat. D.C. police and ambulance crews rushed to the campus on Irving Street NW, east of the Columbia Heights neighborhood, after hospital security officers placed two calls at about 10:15 a.m. indicating there was an active shooter. But there was no shooting, and no one was hurt. A threat against a doctor sparked fear and confusion at MedStar Washington Hospital Center on Thursday. News4's Megan McGrath is in the scene. Within minutes, law enforcement determined the threat had only been verbal. Someone entered the Washington Cancer Institute on the hospital's campus and "made verbal threats to hurt one of our staff members," MedStar spokesman So Young Pak said in a statement. Doctors were the target of the threats, sources told News4. A U.S. Park police helicopter surveyed the hospital campus by air, and officers checked all the doors, looking for anything out of the ordinary. In the meantime, people heading to doctors' appointments were turned away. Patient Nelisha Robinson went to the hospital with her son Brian. "We had an appointment today, and we're scared to go back in here because I don't know if I go back in there and there's something still going on," she said. Officers canvassed the area for the person who made the threat. No description of the person was released. The hospital did not respond to an inquiry about why verbal threats were described as the presence of an active shooter. First Street NW was closed from Michigan Avenue NW to Irving Street NW during the investigation. The scare comes a day after American University went on lockdown following a report of an armed man near campus.